Victor Hugo calls this era of ours "the woman's century." The remark is strictly apposite. From the close of the dark ages, each of the strides of civilization has been marked by some peculiar and original quality which dis­tinguished it from its fellow. The totter­ing steps of culture in its infancy have grown stronger as the life blood of mental development has built up the solid bone and sinew of experience. This nineteenth century of ours differs from all of its pre­decessors. Society today is womanly, not effeminate. In this, her century, woman rules, a queen, not by the sufferance of a superior power to whom she must pay tribute, but as an equal sovereign, through the conquests she has gained. Her position cannot be questioned. There may yet be some few articles to be decided before the final treaty, but the fact of her victory is unassailable. gathered every element of progress from past centuries and molded them into one common whole. It contains the prowess of the fourteenth, the reforming spirit of the fifteenth, the intellectuality of the sixteenth, the resistance to tyranny of the seventeenth, the camaraderie of the eighteenth, the practical business sense of our own. It is her crowning achieve­ment ; the brightest jewel in her diadem. It carries its aim in its title - a union or sisterhood of women trusting in them­selves, not as a source but as a means, and associated for the purpose of re­generating socie­ty, chiefly by the suppression of the liquor traffic. The original work of temperance in the matter of using intoxicants has broadened out until it now comprises forty departments, each with a different line of work, but all subservient to the common end. 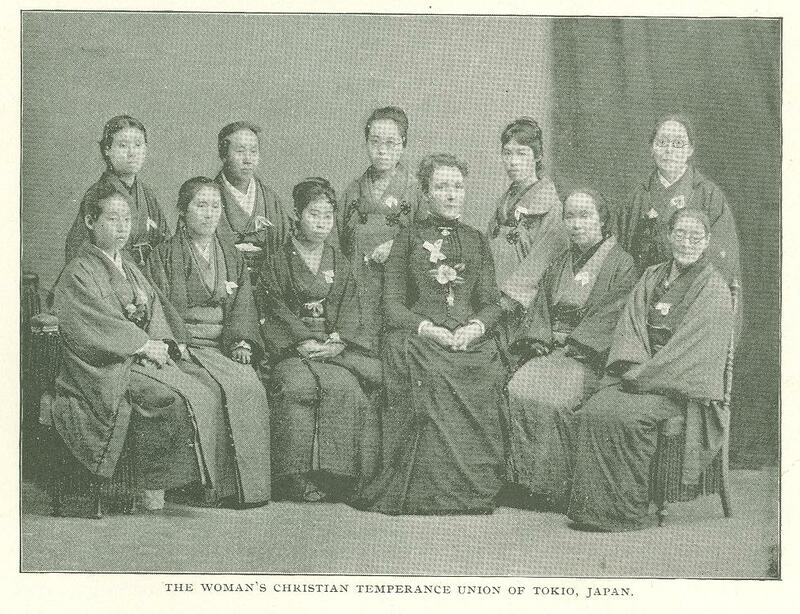 The Woman's Christian Temperance Union is the direct lineal descendant and outgrowth of the Woman's crusade, that swift, brief-lived prairie fire of the West which swept clear the ground for the planting of the seed that was to follow. It was kindled in the little hamlet of Hillsboro, Ohio, on the evening of De­cember 23, 1873; by the next day had reached the neighboring town of Washington Court House, and in less than three weeks had spread all over the state on the wings of a whirlwind of enthusiasm. For fifty days it raged, extending into seven neighboring states and obliterating thou­sands of barrooms and saloons. Then it died as quickly as it had been born. Its effects were only indirectly permanent. Where one drinking place had been blotted out ten sprang up to take its place. Worldly-wise men smiled knowingly and the world seemed to have slipped back into its old groove. It could not have been otherwise. The outburst was too sudden. There was too much of the "Deus vult" spirit, too little attention to methods and the or­dinary, practical details of busi­ness. Men would never have embarked in such a venture. The old chivalric spirit of Godfrey de Bouillon has been ground out of us by the affairs of daily life. It clings to woman, with her silks and velvets. The crusade was dead, irre­trievably bankrupt in confi­dence, and the friends of the temperance cause cried in be­wilderment: "What now?" In less than six months their answer came. A num­ber of devoted, energetic women, gathered togeth­er for a summer outing in the woods about the shores of Lake Chautau­qua, resolved that the idea embodied in the movement should not die. They held a meeting, appointed com­mittees, decided upon a plan of organiza­tion and issued a call for a grand national convention to be held in the city of Cleve­land on the 18th of November 1874. Pur­suant to the invitation, delegates from almost every state in the Union gathered in a church in that city and knelt in devout and hopeful prayer for the success of their new enterprise. With wonderful precision for tyros, they followed out the ordinary rules of parliamentary usage. 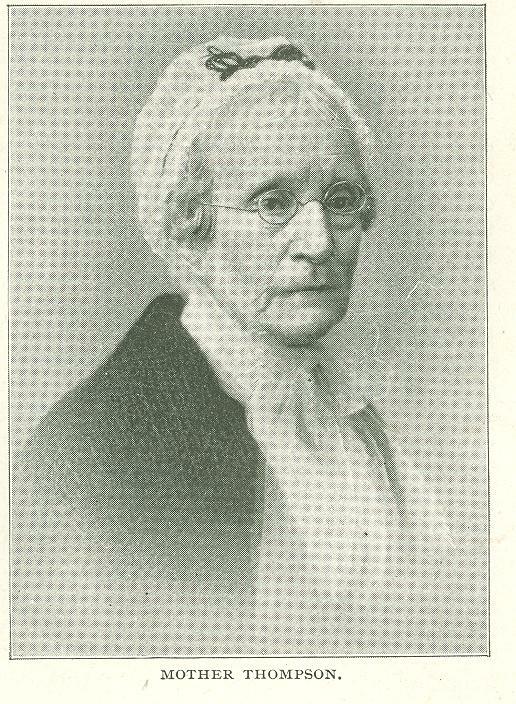 A temporary organization was effected, a constitution framed and a list of resolutions adopted, the gist of which was that they would labor for the success of temperance, "meeting argument with argument, mis­judgment with patience, denunciation with kindness, and difficulties and dangers with prayer." 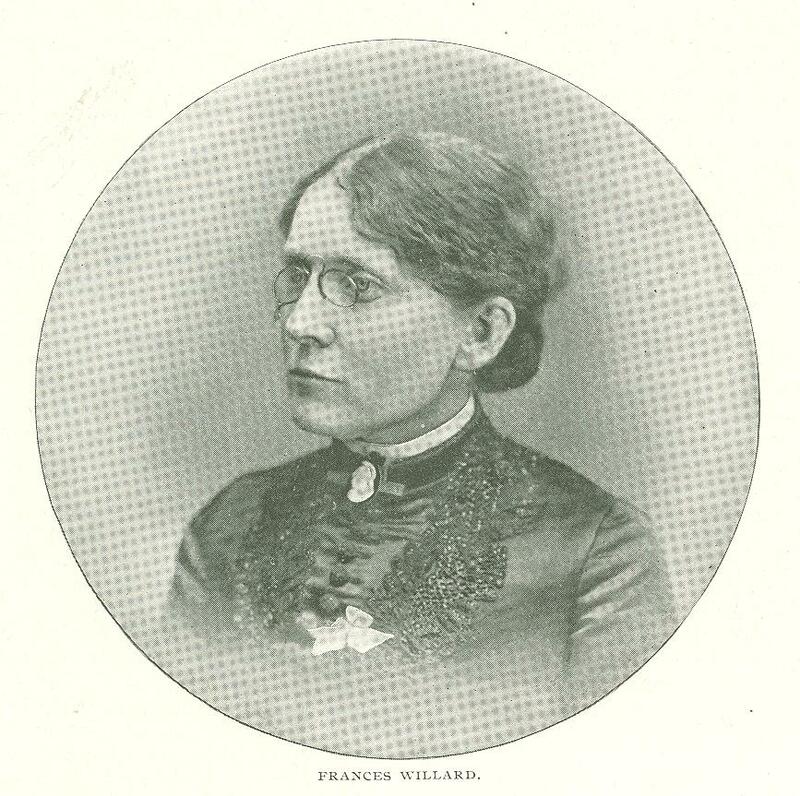 They adopted as a name that of the Woman's National Christian Temperance Union, and elected as their permanent officers Mrs. Annie Wittenmeyer of Pennsylvania, for presi­dent, Miss Frances E. Willard of Illinois, for corresponding secretary, Mrs. W. A. Ingham of Ohio, for treasurer, and vice-­presidents from twelve different states. This congregation, progressive as it was, offered but one purpose to the women who composed it. That was the restric­tion of the drink habit by the only meth­ods of which they then had knowledge. They were to use the old crusade plan of individual prayer and persuasion. But they introduced three novel features which contained the germ of gigantic strength. They invoked the power of the press by establishing a paper; that of con­solidation by perfecting a plan of organi­zation for every village and hamlet; and that of expansion by an appeal to the women of the globe. From the first has sprung their immense Chicago publishing house, turning out annually millions of pages of printed matter in books and leaf­lets, and issuing a paper, the Union Signal, which has a circulation reach­ing far up into the hun­dred thousands. Their plan of organiza­tion is simple but sub­stantial. Each local union, however small, is a miniature of the na­tional, thus erecting a co­ordinate and tenacious structure. 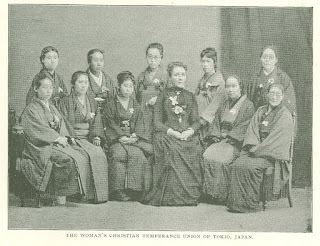 From their appeal to womankind has grown the world's Woman's Christian Temperance Union, a society which comprises, besides our own order, the British Women's Temperance Association, the Cana­dian Woman's Christian Temperance Union, and organizations in the Sandwich islands, Chi­na, India, and Japan. Its first president was Mrs. Margaret Bright Lucas, a sister of John Bright, England's great com­moner, and one who shared with him many of those sterling mental attributes which made him famous. 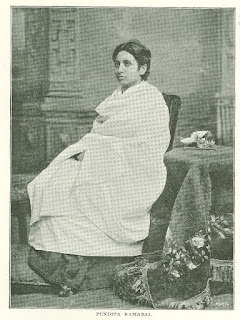 Among her confreres in the order have been Mrs. Sasaki of Ja­pan, the Pundita Ramabai of India, Mrs. Letitia Youmans of Ontario, and Lady Henry Somerset. The latter, once a leader of society in the British capital, has utterly forsworn the brilliant career opening before her, and is devoting her time, wealth and talents to the advancement of the cause. Such, in epitome, are the achievements of the Woman's Christian Temperance Union, on the three lines of work mapped out in the Cleveland convention of sixteen years ago. At Cincinnati the fol­lowing year they bound them­selves more firmly to the re­ligious idea by instituting their "noonday prayer," and ever since, as the sun reaches the meridian each day, these women all over the world kneel and seek help and guidance in their appointed work. But the Newark convention of r876 marks the greatest advance in the early history of the society. For it was there that the subject of woman suffrage was first broached. In this assemblage of women, many of whom had regarded Mary Livermore's extreme views upon the subject with disfavor, Frances Willard was bold enough to declare that the despised cause should rightly be cooperated with theirs. By this demand a distinct element of strength has been added to their cause, reminding one of the force contributed to the religion of Islam by the simple dec­laration: "We will fight for the faith." The sword of Mahomet cut in twain the empire of Rome and installed his follow­ers in the gardens of Granada. Will the ballot in the hands of women accomplish for them the long coveted results of nation­al and state prohibition? Miss Willard was elected president of the national union upon this very platform. Thus there came into leadership one to whom, more than any other, is due what­ever of good has been wrought by the society. Combining rare administrative ability with a tireless energy and a delicate charm of manner, Frances Willard is truly what Joseph Cook has called her, "the most widely known and best beloved of American women." Her life is that of a representative American. Born near Rochester, New York, her family re­moved during her infancy to Oberlin, Ohio, and afterwards farther west, to a farm on the prairies of Wisconsin. The vast, illimitable stretches of land which surrounded her home fed her imagina­tion, and by the grandeur of their soli­tudes showed her the littleness of human life, the sublimity of the divine. 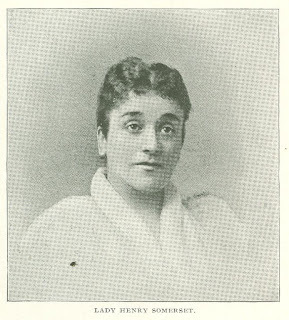 Her New England mother, however, judicious­ly mingled the instruction of books with that of nature, and at eighteen she was ready to enter the Northwestern Female college at Evanston, Illinois. Leaving the institution as a graduate, she sought for and found employment as teacher in a district school, and by sheer force of merit urged her way into the foremost ranks of female instructors. 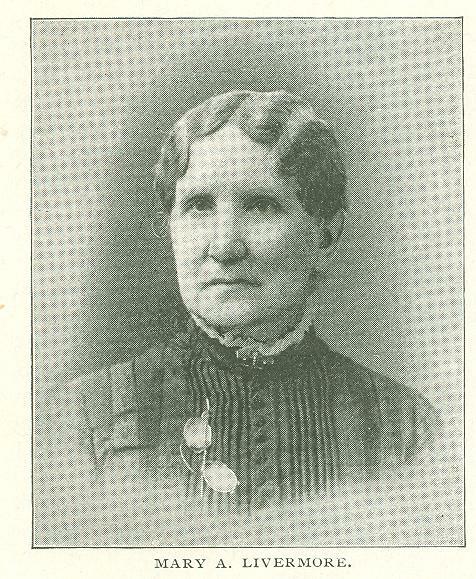 She became president of the college in which she had once been a student, and finally dean of the "Woman's college" of the Northwestern university in the same town. Here her methods of gov­erning the young ladies entrusted to her charge was disapproved by the general faculty as being too lax, and her resignation, when offered, was promptly accept­ed. On her withdrawal from her posi­tion she entered into temperance work, and was elected president of the Chicago Woman's Christian Temperance Union. Since then her advance has been rapid. In every situation which has fallen to her, the ranks of the opposition to her ideas have grown less and less. So much so, in fact, that in the Atlanta con­vention last November there were only eight votes cast against her reelection in an as­semblage of more than 400 dele­gates. Herein lies the key of Frances Willard's life work: she firmly believes that Eve is the mate, the equal companion, of Adam. Noting that much of the physical suffering, the cowed timidity, of women is due to the brutality of drunken husbands, fathers and brothers, she has earnestly espoused the cause of temper­ance. Other distresses, brought about by fashion, folly and hereditary instincts, she seeks to remedy through such branch­es of the order as "Dress Reform," "Social Purity," and educational move­ments. Whether Miss Willard's efforts are well directed or not, is, and will probably for some time remain, a mooted question. That woman's labors can ever be placed upon the same footing as man's is a proposition that has been denied for centuries by philosophers and statesmen, and al­though present events would seem to fur­nish proof that they were wrong, yet the world is very prone to conservatism and society is no iconoclast. Miss Willard has acted with wonderful policy for the furtherance of her plans. She has ever bided patiently her time in de­manding progressive ac­tion from her order, but, when the season seemed ripe, she has bold­ly and un­flinchingly stood her ground. In the great St. Louis con­vention of the Wom­an's Chris­tian Temperance Union in 1884, on the eve of an exciting na­tional elec­tion, she hurled her defiance squarely in the teeth of partisan women, with her celebrated resolution: "As we now know which national party gives us the desired embodiment of prin­ciples for which our ten years' labor has been expended, we will continue to lend our influence to the national political or­ganization which declares in its platform for national prohibition and home protec­tion." A long and brilliant argument followed its introduction, at the close of which the ayes and no's were called for the first time in the annals of the society, resulting in a vote of 195 in favor to 48 against. A split was inevitable. In Philadelphia, the fol­lowing autumn, a protest was presented by Mrs. J. Ellen Foster of Iowa, signed by her­self and twenty-six others. But the resolu­tion was again sustained by a vote of 245 to 30. For three successive conventions Mrs. Foster demanded that this action should be rescinded, but, as the majority for it grew larger and larger, she finally decided to secede from the society of which she had so long been a member. She had been an accepted leader. Her marked ability and unflagging energy had won her a high place upon their roll of honor, but she could not endure defeat. Backed by a delegation from her own state, she again made her demand at the great New York convention of 1888. Her request was re­fused. At the suc­ceeding convention she threw down her gage of defiance, and with a small body of adherents left the hall. The elder organi­zation proceeded un­heeding on its way, and the only notice it has ever taken of the rebels was the simple request that they discontinue the, use of a name to which they had neither a moral nor a legal right. The New York convention, just now referred to, was one of the most sig­nificant in the his­tory of the society. It, was held in the Metropolitan Opera House, and the vast auditorium was packed daily with a curious and interested throng. The strength and importance of the society is aptly shown by this very circumstance. "As New York goes, so goes the Union," and when the metrop­olis received these women and welcomed them into its fashionable homes it was an undeniable evidence of the tenacity with which they have attached theme selves to the hearts of the people. Last fall the Woman's Christian Tem­perance Union held its national assem­blage in Atlanta, the "Gate City of the South." There were present 406 accredit­ed delegates from all over the country, and presidents of states' unions from thirty-­nine states and two territories. Miss Will­ard's annual address emphasized the need of powerful endeavor in the departments of evangelistic and social purity labor. Reports and resumes of the year's work were read by the secretary, treasurer and the superintendents of the different departments. Notably encouraging was the report of the Young Woman's Christian Temper­ance Union, by the National Superintendent, Mrs. Barnes. This branch of the order is, in reality, a reserve corps where girls and young women are trained to take the places, in the older body, of those who must, perforce, lay them down. And yet it has a spe­cial and important work of its own. It aims, by the in­fluence of its members, to make total abstinence a fash­ionable social custom, and thus build up a higher stand­ard of personal habits; to teach young women the scien­tific and ethical reasons [or abstinence and prohibition; and to provide a society to which may be entrusted such provinces as the supervision of children's work, flower missions and Sunday school instruction. Its methods are by transforming such unions into social clubs in which young men may become hon­orary members, by private and public entertainments and other efforts tending in the same direction. The mother order works upon broader lines, its endeavors being comprised under the general heads of preventive, educa­tional, evangelistic, social and legal. By means of these divisions of labor it is in constant contact with an immense va­riety of people. Its members stand in prisons and poorhouses and exhort the unfortunates to repentance and to new efforts. They invade the halls of Con­gress and demand a broader legislation. They go to the nurseries and schoolrooms and enlist the children in their cause. They search out the inebriates of every station and urge them to reform. They establish reformatories and homes for the victims of drink, besides founding hospi­tals. They seek to purify the atmosphere of fairs, encampments, celebrations and expositions by banishing alcoholic liquors and providing in their stead refreshments of a more wholesome nature. They have permeated public sentiment by advances upon the press, by trained lecturers and by conventions and oratorical contests. They have entered the brothel and re­claimed its inmates from their shame and degradation. They have dispatched mis­sionaries all over the globe and instituted similar societies in almost every civilized country. '"For God, for home, for na­tive land" is the simple doctrine of their faith and by such fruits of it as these are they known; by them has the Hillsboro Praying Band grown to a mighty organ­ization comprising 10,000 local unions and a membership of a quarter of a mill­ion, with an equal number of adherents and honoraries; a society which owns a large amount of valuable real estate, which operates a flourishing publishing house and which is erecting in the very heart of Chicago a national temple cost­ing $1,000,000. This is, in brief, the history of one of the greatest reform efforts of modern times. Its magnitude alone must command respect. The cry of "fanatic" is drowned in the onward tramp of its victorious legions. However one may disapprove, one is obliged to admire. It is another link to the chain along which humanity is feel­ing its way to a purer and better life; an­other act. in the drama of freedom whose prologue was the crusade. As we linger a moment on this thought, our minds instinctively turn toward the future, and seek to discern what the evo­lution of woman will eventually bring forth. Woman has great possibilities, she has great misfortunes, she has great faults. She may be a Medusa or an Athene, an Aphrodite or a Ceres. The victim of con­stancy, she is the slave of caprice. Swayed by the lightest breath of passion, she yet can die for a principle. Originally published in Cosmopolitan Magazine. July 1891.